Sweet opportunity!!! thanks!! Josh / Ohio HDCP 8, 110 MPH Tour Edge Exotics EXS Honestly either one as I had similar results when hitting Rogue/Sub Zero so I am curious. But if I had to pick Epic Flash. intrigued!! love to give this a whirl vs my current gamers on a trip to 'Bama coming up... Josh, Edgerton/Ohio 8.8 52 WS V6, 56 mid Cleve RTX 4, 60 Bombtech Grenade xw-1 in same lofts 52 56 60 thanks! Josh / Ohio Few articles of gear today. FootJoy HydroLite short sleeve. Walter Hagen Front 9 pants and pullover. Worst rain? Playing at The Pearl few years back on a Myrtle Beach SC trip. We were stranded at a restroom awning for quite a while as it rained sideways. wow...what a GREAT opportunity. Good luck everyone! 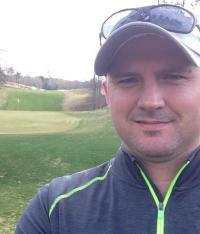 Josh Ohio/USA HDCP 8 Currently using Wilson Staff FG Tour V6 irons, TT Dynamic Gold S300 i210 I think would best suite me. Thanks! Tier 1 - Rickie Fowler Tier 2 - Tony Finau Tier 3 - Brandt Snedeker Tier 4 - Kevin Na Tier 5 - Andrew Putnam Winning score -10 Good luck everyone!